Quotes Find: Don't think of it as getting hot flashes. 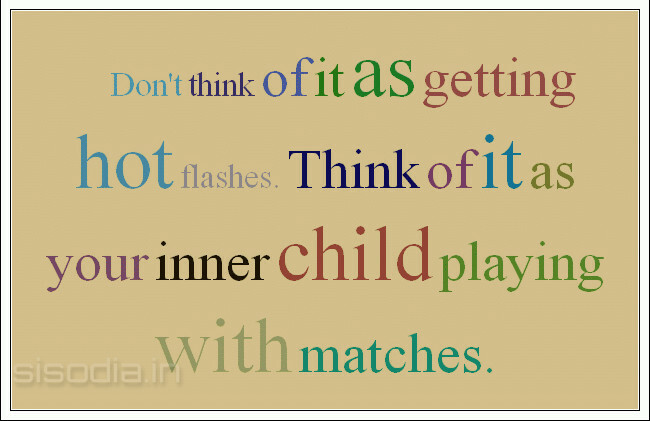 Think of it as your inner child playing with matches. Don't think of it as getting hot flashes. 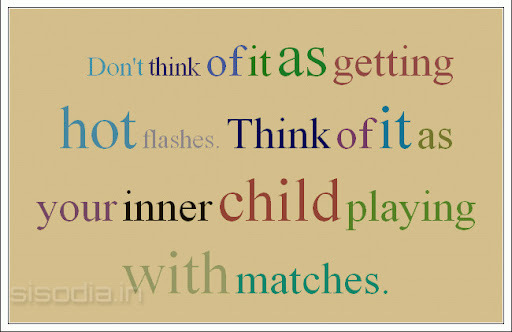 Think of it as your inner child playing with matches.